A British-Chinese luxury footwear and accessories company with a dedicated cult following in Asia. Art Direction. 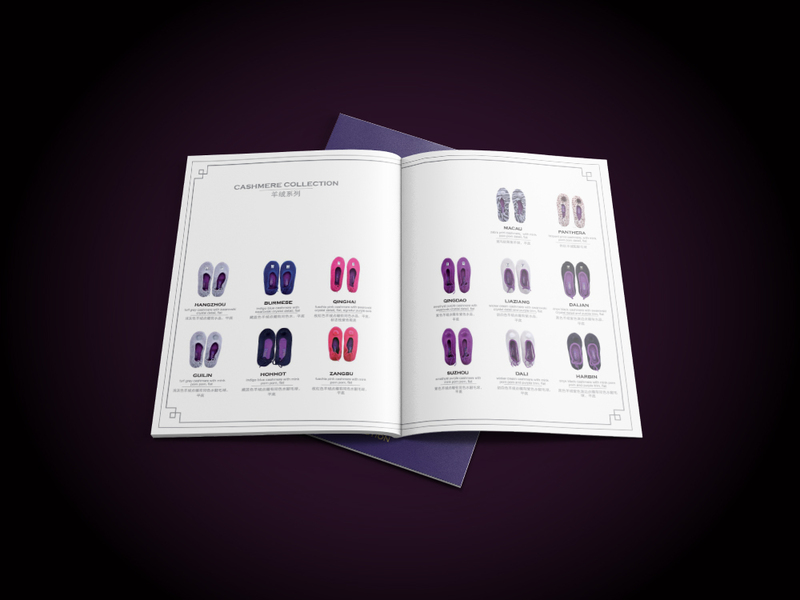 Design a brochure to launch the new range of stunning cashmere slippers and design a Christmas card as part of the customer loyalty strategy.